There are many considerations to be aware of when designing or installing a 300 meter rifle range. The first of these is the SAFETY content. A high powered rifle can send a projectile in excess of 5000 meters. Unless you own a considerable amount of land (i.e. the military), all projectiles must be contained within the range. This is achieved by the correct design of berms, walls, bullet trap and baffle systems. The Shooting Academy specializes in outdoor shooting range design and overhead baffle systems. By examining the drawing below you can see the overhead baffle gantries (closely positioned at the shooter's end - then spacing further apart going downrange.) You can also see the layout of the containment berms built at the sides and far end. My recent outdoor rifle range was for the Boy Scouts of America. This was one discipline of many at their Jamboree Site in WV. RIFLE and HANDGUN ranges - CLICK HERE. 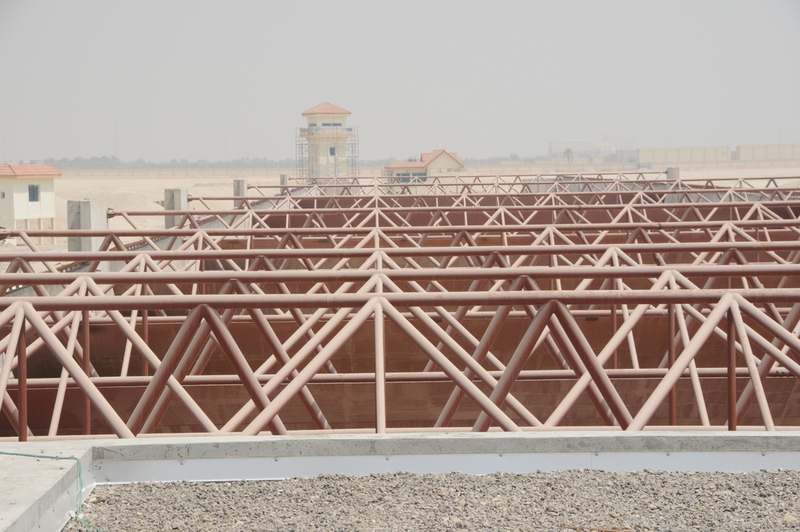 the Abu Dhabi 300 meter rifle range.